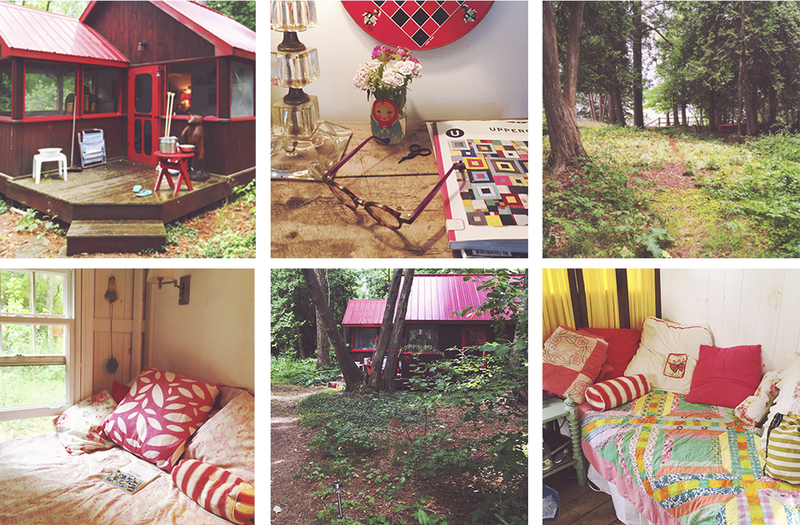 If you follow my Instagram feed, you’ll notice that I’m not in London anymore, I’m enjoying Canadian cottage life. I should explain the change in my summer lifestyle and posts. I live in Hackney, London, but I’m Canadian, born and raised. 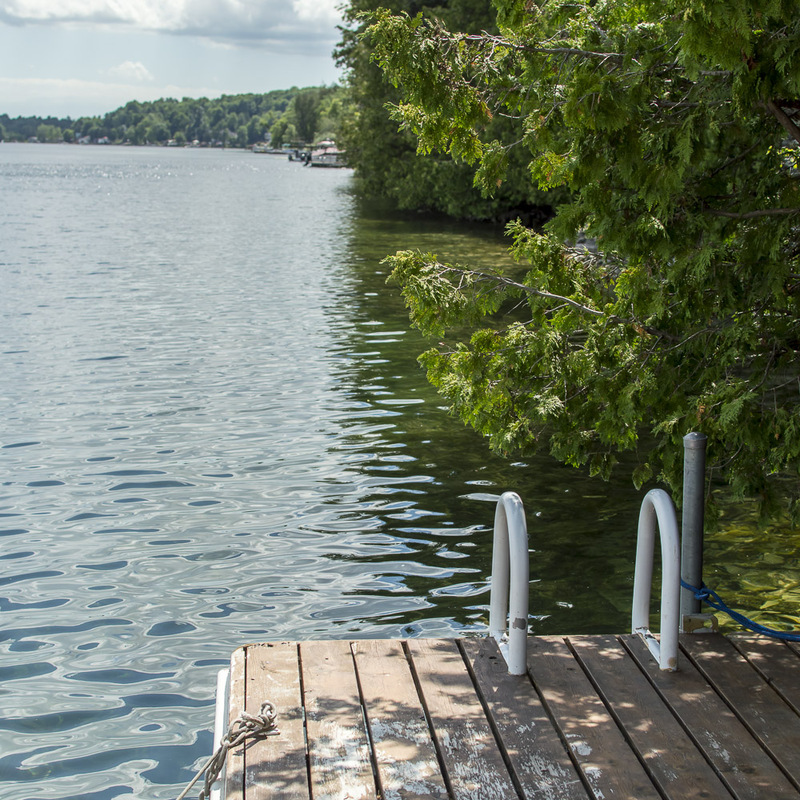 Furthermore, I’m lucky enough to enjoy summers on a lake outside Kingston, Ontario, which is about half-way between Toronto and Montreal, near the US border; about 30 minutes from upstate New York. 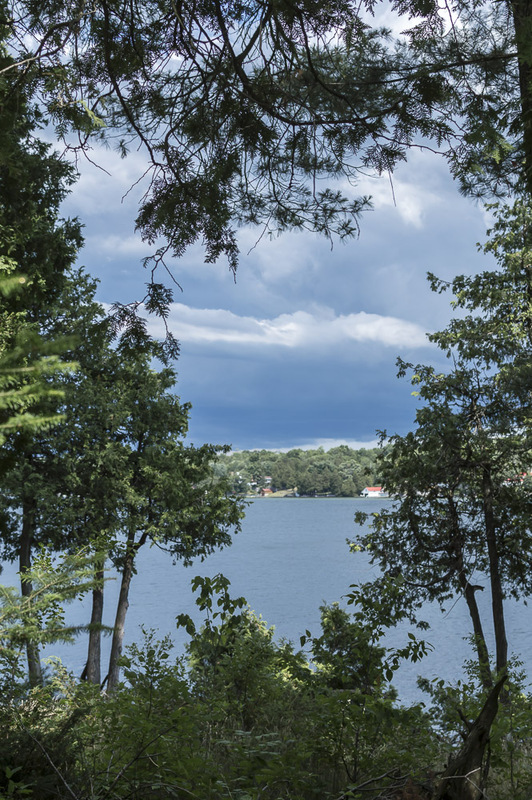 Looking out over the lake from my cabin. A storm is coming. My ancestors were given “crown” land as Empire Loyalists in the 1790s. They farmed it for over a hundred years. Imagine how tough it must have been! Many Canadians complain of the long hard winters, but think about surviving winters without central heating, indoor plumbing, insulated windows, motor vehicles to get them the 5 miles to the nearest town, modern thermal clothing, fresh fruit and vegetables. It boggles my mind! Furthermore, the land is poor for farming. It has short summers and limestone fields with only a smattering of dirt. Consequently, My ancestors left farming life, for the cities, about a hundred years ago, and the land around the lake became cottage country. I grew up summering in the old (haunted) farmhouse, which was shared between my mother and her brothers. Over the years, the land has been parcelled and my uncle (96 now! ), aunt (99 now! ), mother and cousins each have their own homes. Variations on this theme are familiar to many Canadians. I have a small one room cabin, next to my mother’s house, where we shelter for the summer. We have a shower, toilet, fridge, stove top, sink, beds, and table. Pretty basic, but very cosy! We spend as much time outdoors, as possible. We swim in the lake 3 times a day, kayak, walk and do chores. 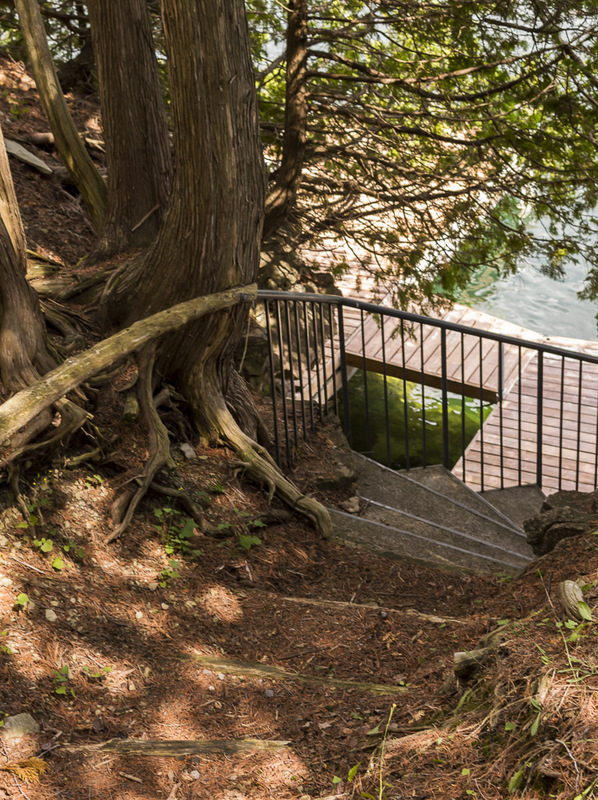 I always dive in off the dock, never take the steps in. We swim along the shore to our neighbours plane. Heavy rain (which is happening as I write this) brings us inside my mother’s house, where I catch up on technology stuff. Everything gets scheduled around the weather. I do my creative projects outside, or on our screened porch. I live such an urban, indoor life in London; I really miss contact with nature. This is my annual opportunity to recharge my batteries. I wish my life weren’t so polarised, but I’m grateful that I have a taste of the Canadian country every summer. I’m here until mid-August. Therefore, there will be a reduction in sewing posts. However, I’m planning some dock-side, hand sewing ~ Alabama Chanin style and my mum has a sewing machine, so I may do a little sewing in the evenings. But, there’s a lot of socialising with friends and relatives to do too. I’m dying fabric and painting & drawing textile designs. I’ll share some of these here. I’ll also continue with my Wardrobe Architect plans. However, I’ll reduce my regular posting schedule down to 2 days a week (Tuesdays and Saturdays) so that I can make the most of my summer life style. P.S. If you want more of me, you can listen to the latest episode of the Pom Pom Quarterly podcast, where I am guest host. Canadian, eh?! 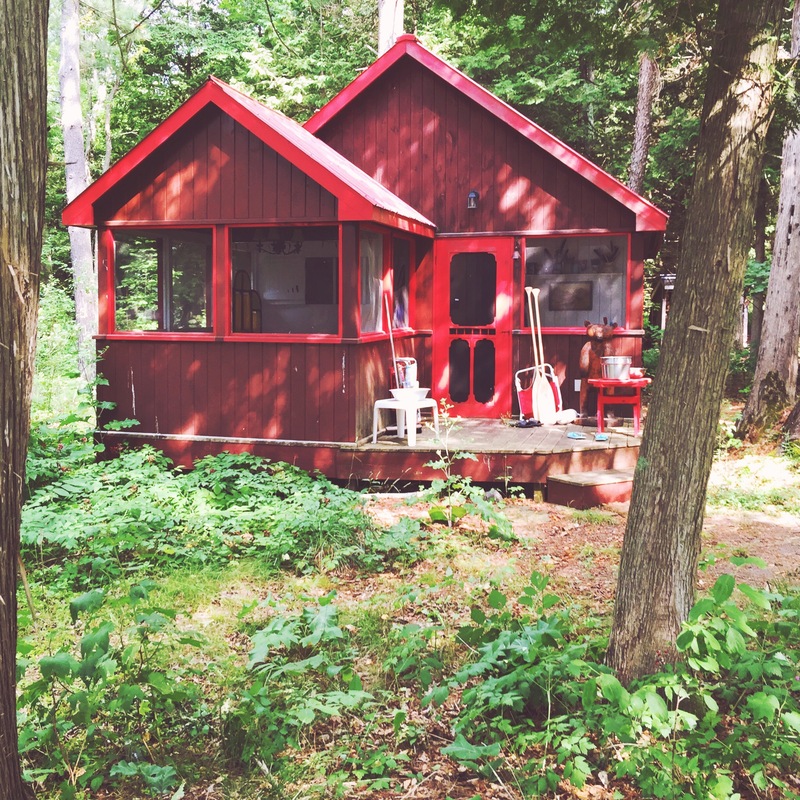 I enjoyed a Haliburton area cottage stay for a week, it is the best way to recharge the batteries. A couple of years ago I did indigo dying at the cottage and every member of my family joined in! Enjoy. Sounds like a delightful way to spend a summer! A beautiful location to relax and to be inspired! Nature is so therapeutic/healing. I went to Norway recently (did a photo blog post) and the scenery was stunning. I hope to go to Canada one day – my hubby’s relatives live in Calgary.